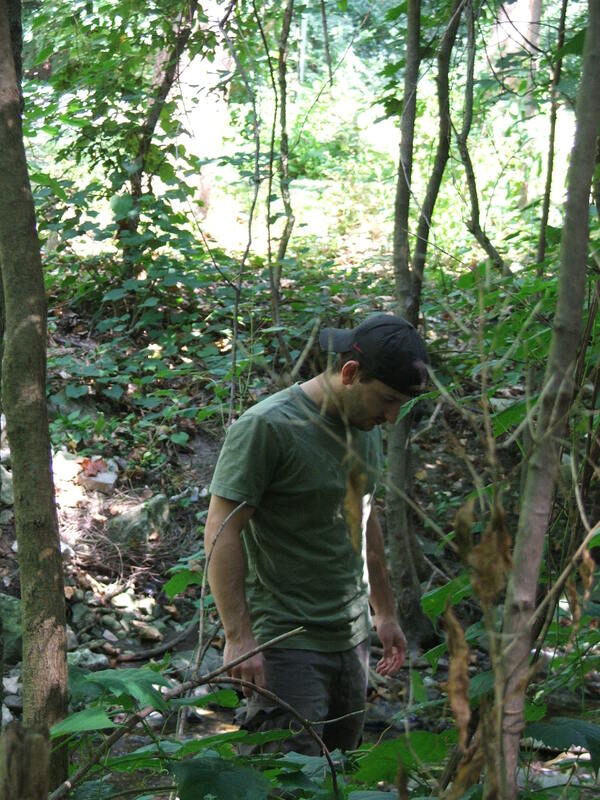 This is me in Rush Run ravine in Worthing, Ohio looking for L. maackii stumps. Yup. No joke. Good times! Actually, just trying to avoid poison ivy, mosquitos, and doing my best to work quickly so I can go home and get out of my sweaty clothes! Earlier this evening I gave my exit presentation for my Masters of Science degree in the Environmental Science Graduate Program at The Ohio State University. My research has taken place over the past year and it is centered around studying the removal efforts made by community groups in central Ohio ravines forests. Specifically, I am studying the removal of Amur Honeysuckle (Lonicera maackii). My PowerPoint presentation can be seen at the following URL: Effectiveness of Lonicera maackii (Rupr.) Herder Removal Treatments in Olentangy River Ravine Forests in Central Ohio. Since this is a Google conversion from PowerPoint, there are a few errors, but you get the idea. I was told that the presentation went well but that I spoke too quickly. When I told my Dad this, he said, “No kidding.” I have been talking quick since I was a kid! I am nearly finished with my Masters’ work. I have to present my thesis to my advisory committee and have my paper submitted to the graduate school for publication by the school. I will then be able to walk across the stage to receive my diploma on March 22nd, 2009, four days before my 29th birthday. Despite myself, I have been very enamoured with this process and making sacrifices for it has been very easy. Last night, for instance, I got three hours of sleep despite knowing that I had a full day of work ahead of me as well as this presentation at 4pm. I just pounded it out and didn’t think twice about the sleep that I lost. It’s a fascinating process and this is unlike anything else that I have ever experienced! Don’t get me wrong, I cannot wait to be done so I can get back to sleep, reading books, playing games, and spending more time with my wife and my friends, but right now this is a unique experience and I’m trying to really soak it up and make it complete. I will post my thesis once it’s finished. Right now it’s embarassingly incomplete, so I won’t waste time putting it up. Eventually, however, I hope to have at least the abstract up (Not sure about university policy and information rights).